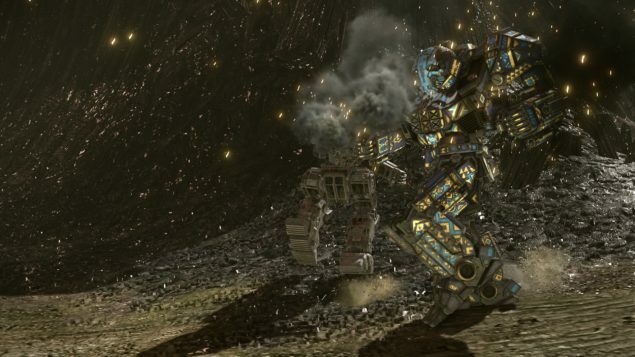 The folks at Piranha Games have graciously prolonged the Clan Invasion event for Mechwarrior Online until Thursday May 28th. Personal and invasion challenges can lead to great in-game prizes. The Mechwarrior Online Clan Invasion Challenge event is now going on until Thursday May 28th 2:15PM PDT. If you’ve been looking for an excuse to fire up MWO again, then this just might be it. But only if you have what it takes to rake on the Inner Sphere in an all out invasion. Should you be successful, however, there are plenty of prizes to be had. There are three types of challenges, and not everyone can participate in all of them. The Personal Challenge can be engaged in by everyone, while only those with Prime and Gold variant Mechs can participate in the Invasion challenge. And the Clan Invasion Planetary Takeover Challenge can only be accepted by those with clan affiliation and that reach the top-tier of the Personal Challenge. All of the details about each challenge and how to participate are below. So get in on the action while you can, and earn some fantastic prizes just for playing and having fun. Thankfully, Mechwarrior Online is not pay to win. In-game and real currency can give you permanent access to new Mechs, weapons and various tchotchke’s, you don’t need to spend real money to do well. If you use a little strategy and communicate with your teammates, then you can out-pilot even the most generous spenders. Anyone can participate in this Personal Challenge, and there are no ‘Mech restrictions! Simply earn a minimum Match Score of 80 in Community Warfare Invasion or Counter Attack matches to earn 1 Personal Challenge Point. Any Clan ‘Invasion’ Prime Variant or Gold ‘Mech owner can participate in this Invasion Challenge. You must drop with either a Clan Invasion Prime (I) Variant or a Gold (G) ‘Mech to earn a point! Help your Clan take possession of up to 5 Inner Sphere-controlled planets during the course of this Event and you could earn a Faction Medallion with a Loyalty Point boost of up to 5%! The number of planets conquered during this Event will provide eligible players with a Loyalty Medallion booster equal to the number of planets that were conquered!